Incentive to keep playing computer games for astronomy. Common-Off-the-Shelf (COTS) Correlator, Schaaf & Overeem - ~5x better performance for 16x bigger problem. 94 abstracts only found on an abstract online search with GPU in abstract - many more than this. 3 classes of papers, methods, science result, philosophy - most are methods. All say good things - is this a bias self selecting process? Big journals are New Astronomy and MNRAS - encouragement to publish these. Big uses of NVIDIA cards in the above mentioned papers. Caution: Why spend time optimizing CPU to do a performance test? i.e. is your CPU code optimized. Single precision vs double precision speed-up? Did you use OpenMP on multicore? Green 500 - top 10 has 4 GPU clusters in. Solve a bigger problem size in the same wall time as smaller problem in CPU - Terascale (petascale?) image processing/analysis - however, do we have enough memory? Typically only about 6BG of memory - is the bottleneck the data transfer? Aim to process 3.2 Gb/s radio telescope data stream on a single GPU, de-dispersing and detecting transient events. Have to do a brute force approach and calculate every dispersion measure. This results in many data points in the (f,t) domain being used lots. This is good for a GPU. GPUs wins hand-down at the moment, AVX puts up a good time, watch out for the Intel MIC chip. UDP stream to handle the data going in. High time resolution universe (HTRU) survey - uses the Parkes 64m radio telescope. Goal is two discover new pulsars and radio transients, 400 MHz BW, 1024 freq. channels, 64micros time resolution. Parkes has 13 independent beams. Data goes to Swinburne, do RFI removal, to incoherent de dispersion, do a signal search and produce a list of candidates, and send this back to the telescope for follow-up observations. Currently it has > 30 mins epr 10 min observation. We would like to speed things up to real-time. Instant feedback and instant follow-up observations, can trigger baseband data dumps too to get better incite. The plan is to remove the step of transfer, so its all done at the telescope. No easy solution to the RFI mitigation. Some things can be done, sigma clipping, spectral kurtosis, coincidence rejection. Coincidence rejection - use multi-beam receiver as reference antennas - assume rfi is not localized - expect to see it in all beams. Simple way is e.g. 3sigma in 4+beams = RFI. Or could do full Eigen-decomposition approach between all means. It is a embarrassingly parallel , its just a transform. De-dispersion works well on a GPU - high arithmetic intensity, good memory access patterns and no branching. Baseline remove - can be port to GPU using parallel prefix sum - there is a library. Sigma cut + peak find, can use a segmented reduction algorithm, again a library. De-dispersion was speed up from 20 mins -> 2.5 mins, suing direct method on 1 Tesla C2050 GPU. Goal of 10 mins well within reach. US government - "cloud first" big push. Why cloud, commercial world... amazon (AWS). Neflix have moved to amazon. - no gridware, I can just have the machine, hence no messing with security in my application. I can have any machine (within reason) i.e. linux, windows, others machine. I pay per hour (cents per machine). How long does it take you to procure a machine? probably 6 months. Can have it in 1 minute if you use amazon. Also get root access! 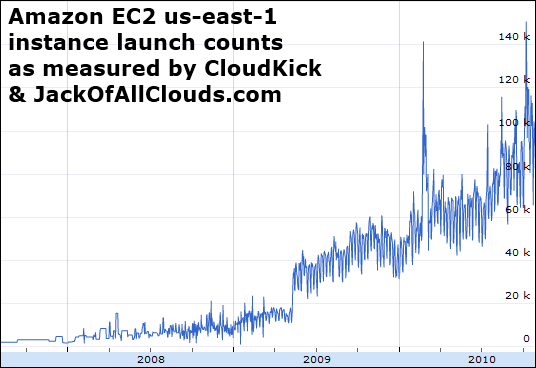 Edge caching... Akamai, Highwinds - for getting lots of data around the world. G-Pod - grid processing on demand - can we put this on amazon cloud instead, they did and were very successful. Didn't put all the data on amazon as this costs a lot of money. Corporate ITs collaboration Tools - "the yearly cost of WebEx is offset if 500 staff use WebEx instead of traveling once a year". How do we survive the data tsunami? Delivering Montage - portable by design: ANSI-compliant C - image mosaic engine work-flow. Uses DAGMan, a workflow engine and talks to condor schedd - which is the task manager. Mass storage is very expensive on Amazon EC2. Existing solution, transfer the file. Not easy for very large files, use remote X11 and VNC - this comes with disadvantages - permissions and security, resource allocations, integration with web and interactivity (latency). So have a portal that has a distributed file system and the clients connect to the portal. Questions: making slices or region files? Followed an object modeling technique (OMT) - developed by Rumbaugh around 1991. The project followed a community observing programme. Recently all reviews over the phone to save cash. Still get approximately 200 proposals a year. Have dropped from 200 people to 55. Used to be $5,000 per hour now, $3,000 per hour of observing. Continue running till 2012 - applied for longer. 41 sensor stations. 2 PB temporary (~2 weeks) storage. does constraint check + conflict resolvbing. publish scehdule on the web. 2009 Tesla 20-series, "Fermi" - up to 512 cores. higher throughput = less power. Tesla enables medical scans to be performed faster - and can reduced the CT radiation by up to 70 times, i.e. can alternate the use. TEXTURES: GPU-specific technology that accelerate image and volume processing. CUDATA Toolkit : cuBLAS, cuFFT. How adaptive optics work - used in real time to deal with turbulence in real-time. Use a language called Yorick, bit like matlab or IDL but open sources. Developed YOGA - works with dynamic linking of CUDA-C libraries.